It seems everywhere you look at the moment, catwalk beauty is mimicking the recent downpour England has had, with blue, blue BLUE. 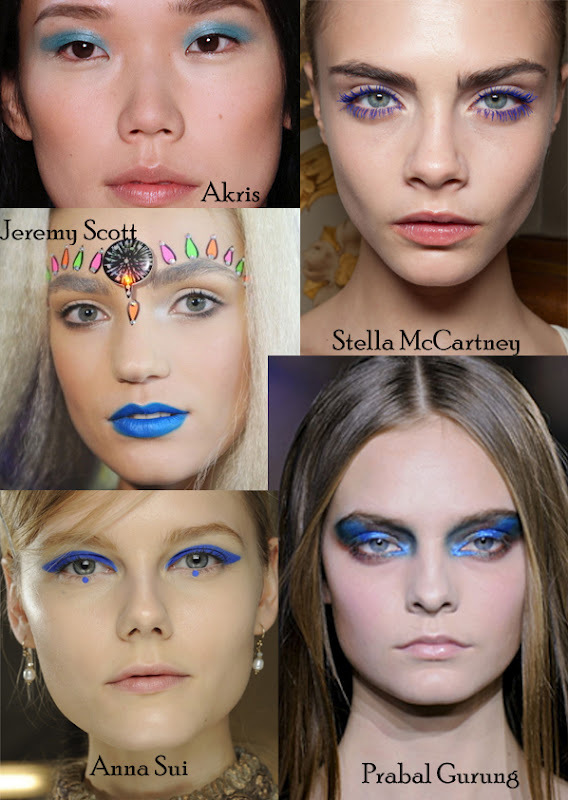 From simple blue powder shadow seen on Akris models, to the fierce blue lips on the Jeremy Scott models. Whilst I'm not quite confident enough to go all out, a la Stella McCartney/Jeremy Scott, I am really excited for this trend. Blue and turquoises are by far my favourite colours so these looks are right up my street! 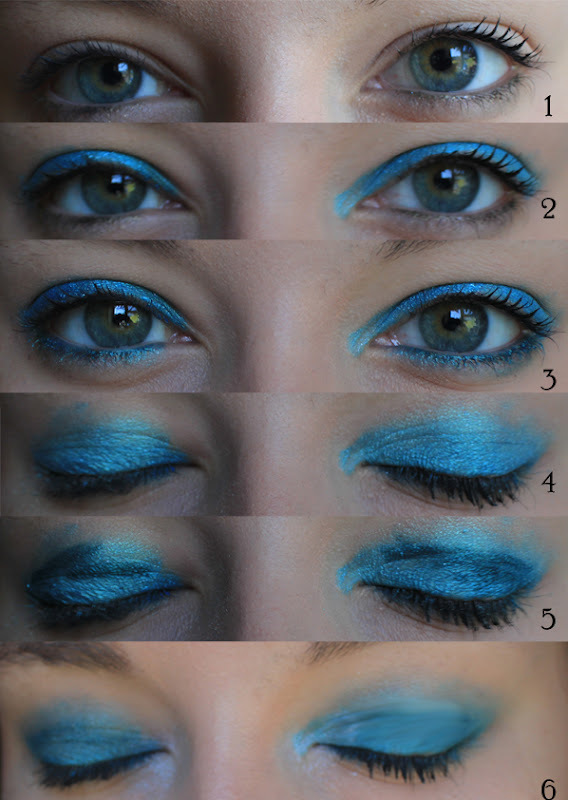 I decided to do a multi-tonal blue eye look and show you all here, how I did it. Its bold, blue but not so out there that its not wearable. You could easily recreate a similar look with navy blues if these bright tones are too bold for you. Similarly this look can be done really, really lightly. Think 'barely there blue' for College/work. 6. Blend with a blending brush. What do you think of my blue eye look? Are you dipping your toes into the pool of blue beauty land, or furiously hugging your neutrals? Let me know in the comments, I'd love to hear from you!